High ceilings and a spacious interior aside, walking into Grain Traders feels just like visiting an old friend. The aroma of fresh veggies and proteins is one so comforting and familiar; we knew we were in for some wholesome goodness. 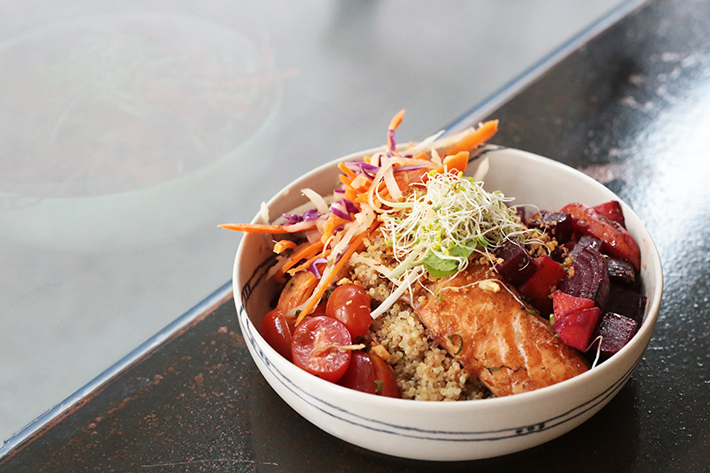 A new addition to Capitagreen in Raffles Place, Grain Traders serves up healthy grains, together with proteins and vegetables that are far from haphazardly cooked and prepared. And yes, they are healthy AND tasty food. g.spa is certainly no new kid in town, but it is quite possibly a hidden gem that many dismiss too quickly from its old building’s facade. We were one of those who overlooked them every time we drove past Guillemard Road, for the building looks really unpromising from the outside and we honestly did not think much. Some time last month, we stepped in for a spa session, and we were shocked; somewhat dumbfounded, in fact! g.spa is HUGE, and this S$3.5mil development is as elaborate, if not more than most of the reputable spa places in Singapore. And just when you think it is “just another spa house”, you might want to bring your attention to their facilities. 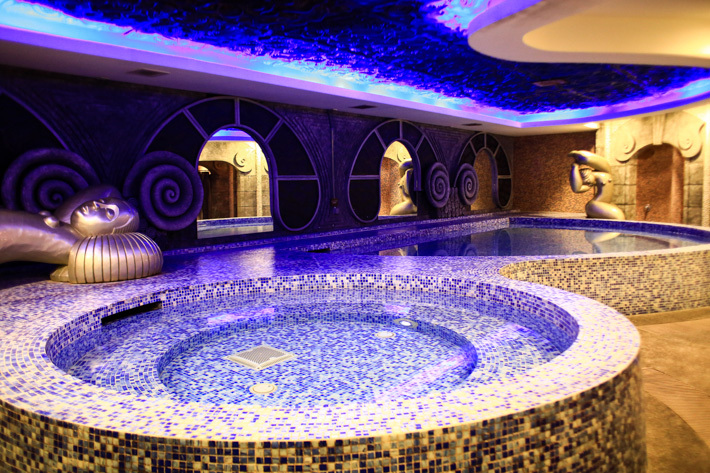 g.spa is open for 24hours and it offers a whole range of signature treatments. That’s not all. The admission also includes unlimited helpings of food from G-café. Readers of ladyironchef get a promotion of S$50 off your main treatments when you quote “Ladyironchef” upon booking/ checking out. More details at the end of this post. If you are thinking of having a meat-free food meal that is not only healthy but affordable, you might want to add GreenDot to your list of restaurants. The co-founder’s family has been in the meat-free food business for decades, and being a supplier themselves, they are ever proud of their high quality and stay true to keeping their prices competitive. With the motto “Eat Green, Feel Good”, the people behind GreenDot are strong believers of eating green to stay healthy. In order to cater to their customer’s nutritional needs, they have teamed up with a group of nutritionists to serve food that contains only the most beneficial ingredients, and there is no added MSG. This humble restaurant currently has three outlets (Westgate, Paya Lebar Square and Bedok Mall) in Singapore and it plans to open a few more outlets so that everyone can enjoy affordable meat-free meals. 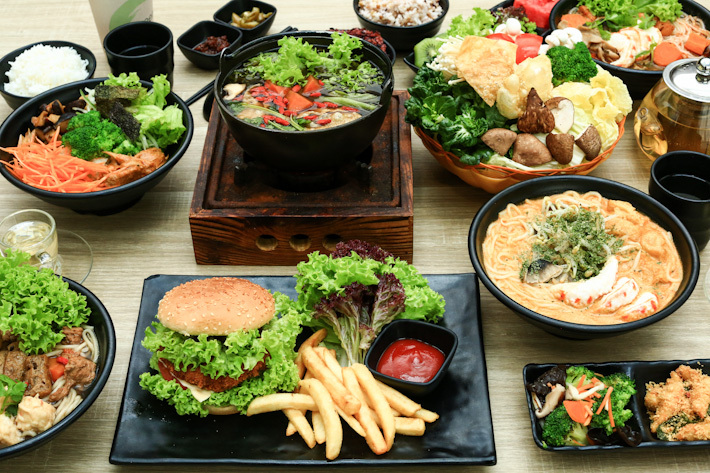 The best thing about GreenDot is most dishes on the menu are priced under S$10 – you can have a well-balanced meal without burning a hole in your pocket. How to ever get sick of Grand Hyatt Singapore when the many restaurants are ever competent and always delighting our taste buds with new creations? It is no secret by now that mezza9 is among our all-time favourite restaurants list, and we can go there for lunch and dinners and still be wowed by the chefs for their outstanding culinary skills and understanding of food. And then there is StraitsKitchen too, an evident crowd favourite with its impressive buffet line-up, featuring the heritage of Singapore and all our representative dishes. It is a halal outlet too, and one that our Muslim friends can head to for a trusty feast. So what is Chinese New Year without a get-together at Grand Hyatt Singapore? Whether you are looking for a buffet, or a multi-course Chinese meal, you can find your answer(s) here. Something to take home too, perhaps? We will share with you our picks from their festive takeaways! Just like food and fashion, we have our favourite brands when it comes to hotels too, and we know those names are the ones that we can count on and turn to whenever we need a good night’s sleep. Hyatt is definitely on our list, and no matter which part of the world we are at, it is one brand that we can resonate with. The Hyatt brand is well-received and ever popular for their consistency in delivering the best experience to their esteemed guests. We are not going to be overly fancy describing our stay at Grand Hyatt Singapore, because just like the brand prides itself, the experience is nothing but an honest and sincere one; no frills, just a classy execution for your enjoyment. Grand Hyatt Singapore has also just launched its WEEKEND 24 – an exclusive staycation package that lets you check-in at any time, and check-out one full day (24 hrs) later. 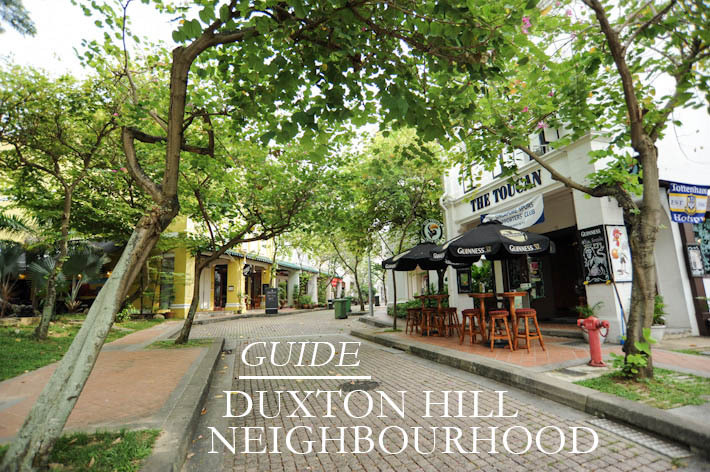 Located within the vicinity of Tanjong Pagar Conservation Area is Duxton – the ideal destination for an interesting foodie experience. Many hipster cafes and fancy restaurants are housed in the beautiful restored colonial shop houses lined up along Duxton Road and Duxton Hill. From Melbourne-inspired hipster cafes to Italian restaurants, the dining scene in the Duxton neighbourhood is undeniably vibrant and nobody would have thought that Duxton was once infamous for its strip of sleazy karaoke lounges. Here is our guide to Duxton Hill’s best restaurants, cafes and bars, featuring 11 dining destinations in the neighbourhood.